Air India has officially disclosed to the media that it has issued a tender to dry lease out 3 of its Boeing 777-200LRs + 4 Airbus A 310-300 Freighters as it engages in ways to build revenue and cut costs as the carrier has incurred massive losses this year. The airline's management too disclosed that it is seriously examining its JFK nonstop flights from Delhi to Washington DC and from Mumbai to Boston respectively in order to spend money recklessly on paying for parking the 2 B 77Ls at JFK on a daily basis from 9 to 14 hours. If the JFK plan does get the go ahead, the flights would then be routed DEL JFK IAD JFK DEL and BOM JFK BOS JFK BOM. Lastly, capacity on the AMD-FRA route has been reduced from a daily B 77W to a daily B 77L. This analysis will be in great detail and will concentrate on which airline should take up the leased out aircraft + why AI should not go ahead with the plan of messing around with its established nonstop JFK flights. To begin with, we shall discuss the latter. It is no big secret that even though load factors have steadily improved, the yields are low and operating costs of these flights high. Now if one already knows that the cost of operating this flight is very high, why would you increase it further by extending it to fly JFK-IAD-JFK on a sector that does not allow the carriage of 5th freedom traffic thus unable to generate any further revenue for the airline. It is cheaper to pay for parking at JFK rather than to operate a JFK IAD JFK flight. AI's top brass believe that there is a big market out of IAD bound to DEL to the tune that it could increase the JFK flight's load factor by 20% i.e. 50 passengers per flight. Now that maybe so but if proper research was conducted, statistics available from the FAA and U.S. DOT officially show that in 2008, the size of the IAD-DEL-IAD O&D market segment was 55 passengers per day fought over by QR/LH/BA/AF/KL/CO/AA where as the total IAD-India-IAD market segment size was 140 passengers per day. There is no way that either of these well established airlines would just let AI walk in, ruin their parade and gobble up their entire market share nor would Air India be able to attract passengers bound to South India in particular on this flight nor would AI be able to get some form of "feeder traffic" from UA out of IAD because of the numerous stops incurred for Indian passengers en-route. The only market that segment that AI has a decent chance of capturing is the O&D IAD-DEL-IAD sector where it too will face problems. It will at the up most be able to attract 30-35 passengers (my forecast) from IAD on a daily basis which in itself would be at a huge burden because it would have to offer extremely low fares and hope that the competition doesn't match. But even then, the additional cost of operating With regards to the high fare, high yield paying premium passenger, unless the fare is US$ 2500 + taxes, one does not see any hope for these passengers flying on board AI because on their return journey they would need to first do their immigration upon the plane's landing at JFK which is a big hassle and a mega turn off. This point also holds true for a vast majority of economy class fare paying passengers hence you see the likes of QR/BA/LH/AF/KL dominating the IAD-DEL/BOM-IAD market segment and not CO/AA/DL. Due to a multitude of options now available to the Indian passenger from USA to India, a vast majority prefer convenient one stop options and being able to clear U.S. Immigration at their final destination in USA if it can be helped. This is especially true for South India bound passengers who now (outside of the JFK city region) refuse to fly to MAA/COK/BLR/TRV/HYD via BOM/DEL because the journey would entail 2 stops + clearing customs and immigration at BOM/DEL. EK, EY and QR now control the Kerala-USA market due to the whole host of connections on offer via their respective hubs in the Middle East where as market share for MAA/HYD/BLR is keenly fought amongst EK/QR/LH/BA/AF and 9W (MAA only). In short, no passenger would be willing to fly AI IAD JFK DEL South India if they can help it as its faster and more convenient to do so with the competition especially QR! Therefore it can be concluded that if the DEL JFK / BOM JFK flight is to be extended to IAD/BOS, it is guaranteed to be a huge failure and a further financial burden on an already loss making route due to the higher operating + marketing costs involved! 1. Fly 3 weekly HYD-FRA-IAD using a B 77L. Instead of leasing out 3 B 77Ls, AI should use one of those 3 to fly HYD FRA IAD three times per week for which one aircraft is needed maximum. By flying via IAD, AI covers all its bases as via the FRA hub, it can get passengers from the IAD area bound to DEL/AMD/ATQ/BOM and HYD + get useful 5th freedom traffic on the IAD/FRA/IAD sector. This will also help lift their YYZ, ORD and EWR flight loads as they will be able to attract HYD bound pax more easily as the flight will be one stop via FRA rather than the current 2 stops i.e. ORD-FRA-BOM-change of plane at BOM-HYD. As one already knows the HYD ORD and HYD NYC market segment size is HUGE and one cannot be left ignored! Therefore if this proposal is accepted, the IAD flight can be supported by 6 market segments which is more than enough. a) The DEL MXP DEL O&D market segment size is 100 passengers per day where as DEL ITALY DEL total is 160 passengers per day. Ever since AZ suspended its Italy-India-Italy flights, no airline offers a nonstop flight from Italy to India much to the dismay of the 65,000 Indians residing in Northern Italy in particular for which MXP is their main international gatway point. Approximately 80% of the Indians in Italy today originate from the Punjab region of India and thus DEL is the main international airport of entry and exit for them! b) No airline offers a nonstop flight from Washington DC to Milan which according to the U.S. DOT has a market size of 25,000 O&D passengers per year. c) AI would have a monopoly on both the DEL MXP and MXP IAD sectors thus it would be able to generate higher yielding passengers by charging a small premium to fly nonstop in economy class and a higher premium to fly nonstop in first and business class. d) Cargo volume between MXP and DEL is huge year round and an excellent source of additional high yielding revenue for AI to abstract from this route. e) MXP is the financial capital of Italy thus home to a huge premium class flying passenger base. By offering a nonstop MXP IAD MXP flight, it would be attracting a lot of F and J class fare paying pax to/from the MXP area and more so if UAL decides that it wants to code share on this trans-atlantic route which would come in handy big time! f) Via MXP, AI can get feeder traffic for FCO/VCE/Switzerland/Austria/Poland by signing SPA deals with AZ and fellow Star Alliance carriers. g) AI would have 3 different market segments to help support this flight i.e. DEL-IAD + MXP-IAD + DEL-MXP out of which it would have a monopoly on two of those. 1. Kuwait Airways - KU needs an image make over and what better way to do it than to lease in these 3 B 77Ls to be used on their flagship JFK and LHR routes exclusively. How? Simple...replace the 2 B 772s that KU currently uses on 3 weekly KWI LHR JFK + 3 weekly KWI JFK nonstop with 6 weekly nonstop KWI JFK flights which would require 2 B 77Ls to be used. The third one can be used exclusively for KWI LHR KWI. The B 772s that get withdrawn from JFK and LON can be used to replace the aging and inefficient A 343s on the KWI BKK MNL route which is currently flown 6 times per week. The 2 A 343s that are withdrawn from BKK/MNL can used to replace the AB6s to FCO and CDG. 2. Turkish Airlines - TK is embarking on a major long haul expansion spree and with leased 9W B 77Ws already in its fleet, it could do with 3 B 77Ls to open LAX before its newly ordered B 77Ws from Boeing arrive in 2-3 years. TK has already mentioned officially many times in the media recently that its next 2 USA destinations would be IAD with an A 332 and LAX with a B 77W so it could easily get a head start by using these 3 B 77Ls exclusively to fly daily IST LAX IST operations with perhaps a same plane extension to DXB. Then as the route matures and develops itself in the California market, it can within 2 years time increase capacity from a 240 seater B 77L to a 320 seater B 77W. 3. Ethiopian Airlines - due to major delays with the B 787 program, ET have already ordered 5 B 77Ls for Boeing in the form of a negotiated compensation settlement. But building new B 77Ls takes time so if ET really want to stick to its plan, then it should lease these 3 AI B 77Ls to launch ADD IAD nonstop 4 times per week along side PEK ADD nonstop 3 times per week. 4. Qatar Airways - problem here is that these AI B 77Ls come in 3 classes where as QR's B 777 fleet are all 2 class configured aircraft (J/Y) hence it might lead to a bit of in flight product inconsistency but once again over here too, money is no object so if it wants to get its foot in the Latin America market asap to help support its SE Asia and new DOH NRT flight from next year onwards, then it should get these 3 B 77Ls to launch new daily DOH GRU EZE services. 5. Etihad Airways - money is no object for this airline and hence it could these 3 B 77Ls to launch AUH LAX nonstop on a daily basis with a code share with AA who has a hub at LAX! JNB - frequencies reduced from double daily nonstop flights operated by a B 773ER + daily B 772ER to a daily nonstop flight operated by an Airbus A 380 effective March 2010. NRT - frequencies reduced from 17 weekly to double daily nonstop flights using a B 773ER for all services. DXB - frequencies reduced from January 18th onwards from 13 weekly i.e. 6 weekly A 332 + daily B 772ER to a daily nonstop flight operated by an Airbus A 380. Emirates CEO has officially announced that the next batch of A 380s that the airline will be receiving from Airbus will have 28 extra economy class seats thus increasing capacity from 489 to 517 and will be primarily used on the London Heathrow route. EK too confirmed that it has put on hold configuring many of its A 380s into a 2 class (J and Y) 620 seater to be used on high density Indian Subcontinent, Jeddah and Far East Asia routes until the worldwide economy picks up again. DAR - capacity increased from daily A 343 to daily B 773ER. THR - frequencies increased from 17 to 19 weekly flights using a combination of B 773As and B 773ERs for all the flights. CAN - capacity increased from daily A 332 to daily 3 class configured B 773ER. 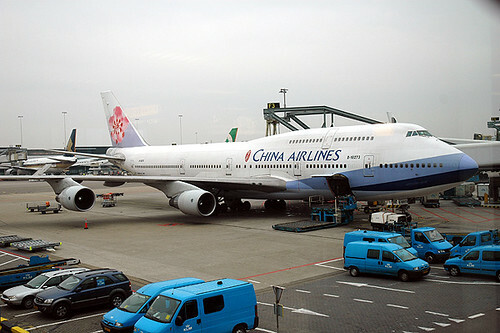 CMN - capacity reduced from a daily B 773ER to a daily A 343. The capacity increase to both DAR and CAN are surprising to say the least because it will be a 3 class configured B 77W that would be used on both routes. This begs the question as to why EK is using an aircraft with a first class cabin on these 2 routes which have virtually zero first class demand year round! IKA too has seen a huge capacity increase this year as previously, one could recall that it was 17 weekly A 332s in April 2009 and now its B 773s all the time! An excellent move by CI to switch their FCO flight from BKK to DEL as no airline flies DEL-Italy nonstop and there is a big market to tap into. According to DGCA stats, over 40,000 passengers in 2008 flew from Delhi to Italy with 30% of that number bound to Rome where as the rest were largely headed towards MXP. The flight timings for this new DEL-FCO-DEL service are ideal for O&D VFR and business traffic alike and CI can easily feed this flight with pax from BOM/BLR/MAA/COK if it gets a good SPA with 9W or AI on the domestic India sectors. There is a fair bit of tourist/missionary travel as well on this route due to FCO's close proximity to the Vatican. Lastly, cargo too would bring in solid $$$ for CI which will help increase the revenues of this flight. JFK/MAN - new daily nonstop flights to be launched using a B 757 effective May 13th. JFK/MAD - new daily nonstop flights to be launched using a B 757 effective May 1st. ORD/HNL - new daily nonstop flights to be launched using a B 763ER effective June 10th. 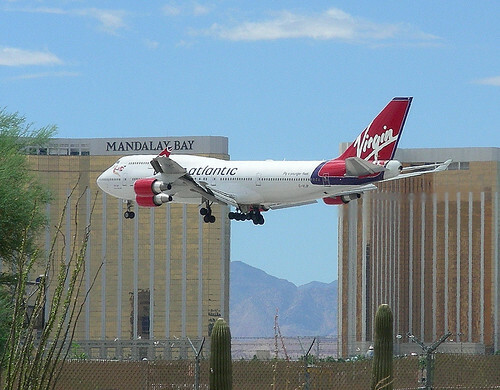 Virgin Atlantic has revealed on the GDS that it will be reinstating its daily flight to ORD-Chicago from May 27th 2010 onwards. VS will be using an Airbus A 340-300 to operate this flight. This flight is being suspended for the IATA Winter 09-10 season due to on going cost cutting initiatives implemented by VS across the board. Sri Lankan Airlines has officially announced that it will be increasing its flights to DMM-Dammam, Saudi Arabia from Oct 27th 2009 onwards. UL will be flying this route 4 times per week nonstop using an A 332 twice a week + an A 343 twice a week. Asiana Airlines of South Korea has officially disclosed that it will be increasing its frequencies to TPE-Taipei from January 2010 with the addition of 2 weekly flights to its already daily operation. In total, 9 weekly nonstop flights will be flown from Seoul (ICN) to TPE using an A 333 daily and an A 320 twice a week. In addition, the carrier too announced that it will be increasing its flights to CEB-Cebu in the Philippines from the current 4 weekly to double daily effective Dec 1st 2009 by using an A 321 nine times per week + an A 320 five times per week. South African Airways has officially confirmed that it reached a settlement with Airbus over a previous order that got canceled in 2002 which consisted of purchasing 15 aircraft. The settlement will entail SAA taking delivery of 6 brand new Airbus A 330-200s from 2013 onwards which will be used to replace its fleet of A 340-200s. The A 332s will be used to fly nonstop to BOM, West Africa and Europe from JNB. Kenya Airways has officially confirmed that the delay in it receiving its Boeing 787 aircraft from Boeing has forced it to enter into talks with rival Airbus to purchase aircraft in the interim in order to keep afloat on its continued international long haul expansion plans. KQ is in talks with Airbus for A 330-200s only that can be delivered within 2 years. I dont see the need for KQ to order 6-9 A 332s due to the delays with the B 787s as they could probably get a sweeter compensation deal from Boeing for brand new or 3-4 year old used B 763ERs from some where. This would help them cut down on costs as it would be detrimental having a wide bodied fleet consisting of 3 different types i.e. 777, 767 and 330! If KQ doesnt want B 763ERs, then Boeing should pitch some B 77Ls and lobby the U.S. Govt to allow KQ to fly nonstop to USA from NBO which it cannot do so now due to the FAA ruling which downgraded NBO as a CAT II airport. The B 77L can also fly nonstop to HKG and PEK from NBO as well! Air Canada has been cited by the Canadian media that it wishes to launch a new nonstop multiple weekly flight out of YYC-Calgary to Asia from the on set of the IATA Summer 2010 time table but will first conduct a thorough research to see if this flight can be made viable and would be supported whole heartedly by the local business community in particular. Good initiative by AC! 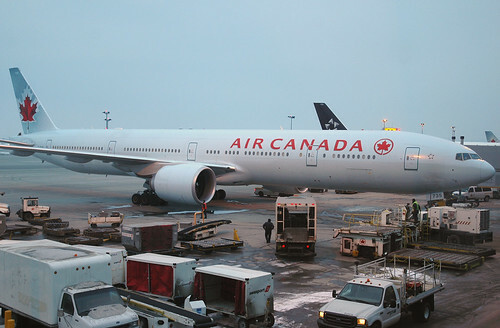 Best is to have a 4 weekly B 763ER service from YYC to NRT in the peak summer season and 3 weekly for the remaining months of the year when its low season.